My Julep box got here early this month! This months box has the theme of Sail into Summer! The theme colors are soft red, blue and white like the Nantucket Massachusetts shore. I switched from my usual Bombshell style to Boho Glam for the gorgeous colors. Everything was wrapped up super cute as per Juleps usual M.O. The extras this month were salt water taffy! I got one in chocolate, strawberry and lime. I loooove salt water taffy. It reminds me of summer trips to Lake George when I was a kid. 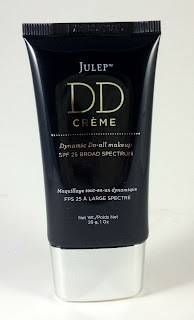 The product this month is Juleps new DD cream. I selected light to go with my skin tone. Boho Glam included Dianna, a sea foam green and Lexie, a bright creme yellow. 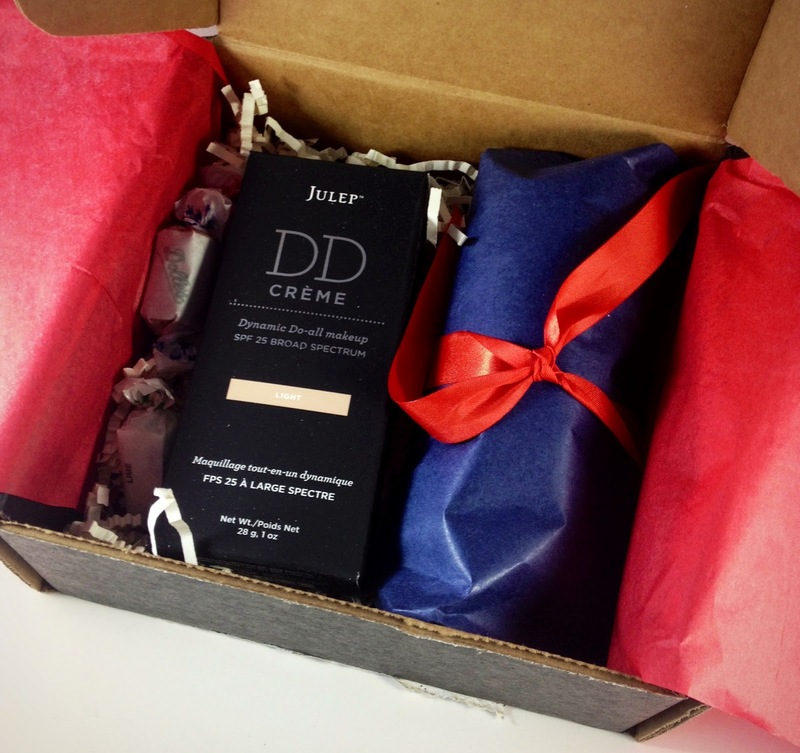 Now, DD cream was a term coined by Julep. I feel like all these creams are starting to get a little crazy. We started out with BB creams or beauty balms, which were at first asian imports. They typically give you some type of sheer coverage with added benefits like SPF protection and anti-oxidants. Depending on the brand there are usually other perks as well. My favorite is my Urban Decay Naked Skin Beaty Balm which is a 5 in 1 that perfects, protects, treats, primes and hydrates. They can be used under makeup for the benefits or just over your face when you want a natural, sheer look. CC cream stands for 'color correcting' as opposed to 'beauty balm'. They are usually marketed with more coverage and help with redness and skin flaws while containing all the other benefits BB creams typically have. Really the difference between BB and CC is pretty minuscule, just pigment! So to clarify, BB-DD creams really do many of the same things with slight variations depending on the brand. Basically BB tends to be sheerest while building down the line. I do think that this race to the finish is a little ridiculous because they all pretty much do the same things! It sounds as if everyone is trying to market themselves as new and flashy even though the products are all typically similar. I mean, what comes next, EE cream? I don't even want to think about what happens when we get to P, I am NOT putting PP cream on my face. The DD cream was fun to use! The bottle was bigger than I was expecting. the light shade matched my skin perfectly. It did give a pretty good coverage when rubbed in. The picture shows it applied straight out of the bottle on the upper part of the hand and gently rubbed in on the lower. It smells kind of like sunscreen. I'll be switching it out for my Urban Decay BB cream to see how it stacks up! 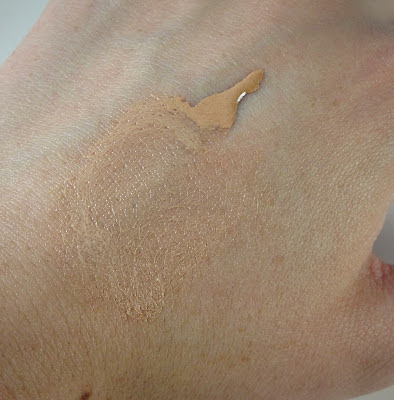 I'm already liking the added coverage and it matches my skin better than UD. There has been some uproar this month. The DD cream bottles are big, bigger than my Urban Decay BB cream, yet they appear to only be half full. There is a lot of air you have to squeeze out to get to the product. There should be 1 oz in the bottles. My UD cream is 1.16 oz. and in a smaller bottle so I'm thinking maybe they just put the cream in bottles that were too big to make it seem like you were getting more? While I see how the idea is appealing it left many people upset feeling cheated and gypped. I believe it is 1 oz, the containers are just the wrong size so I don't mind too much. I do have the concealer and brush coming from Julep as add ons. I've been reading that some people can't even get product out of the concealer containers theres so much air in it. If that's the case I'll have to send customer service and email when it gets here. I've always had good experiences with Julep customer service so we'll see what happens. Julep Dianna is an absolutely gorgeous color. 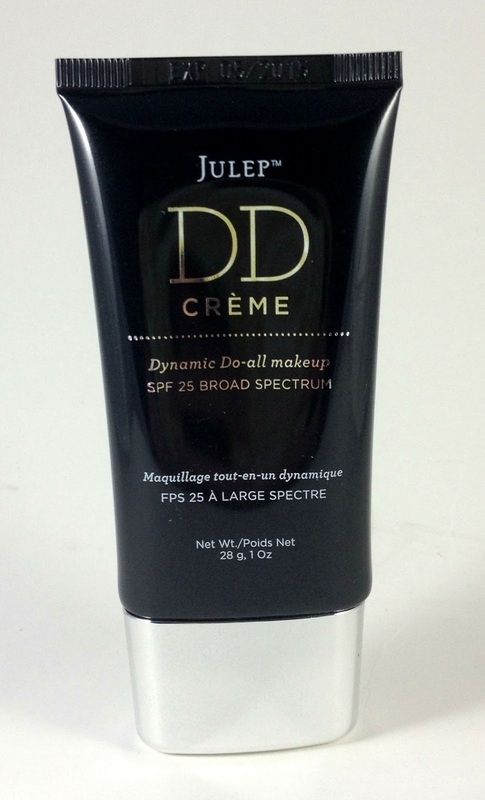 This is typically the amazing Julep formula! Two coats was perfect opaque and went on beautifully. I don't have a single bad thing to say about it! Julep Lexie was why I switched to this box. Yellow is my least favorite color. It looks horrible on me and brings out the red in my skin which I usually try to hide. However, I dislike yellow so much that I never have any good yellow polishes. When the time comes that I need a creamy yellow for some nail art or a nice gradient nail I never have anything to turn to. I had to fill the void in my polish rack. Lexie did just that! This is the most beautiful canary yellow I have ever seen! Two coats was still the slightest bit streaky so I added a third for good measure and that did the trick. It is such a sunny, warm yellow color. Polish rack void, filled! I added on Juleps DD Concealer in light (the DD here stands for Disguise & Diminish) and the double ended concealer and cream brush so I will be adding a part two to my Julep post when they arrive! I really wish they would start shipping add ons together with my boxes! To sign up for your own Julep Maven subscription box and get your first month free. Just follow this link and take the Julep style quiz. They will match you with a style and send box of polish and products right to your door! If you don't like the box keep it and cancel the subscription at no cost. If you're like me and love your Julep subscription you can keep it and you will be billed $19.99 each month after your free box. You can cancel or skip months at any time!